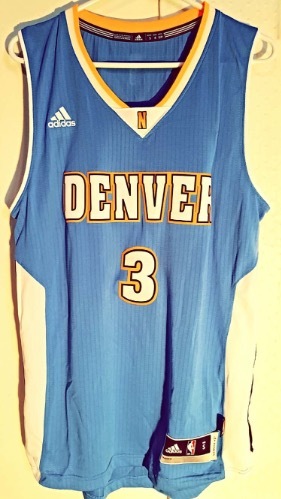 Adidas Denver Nuggets Light Blue Swingman NBA Basketball Jersey is a superb value delivering quality construction and fine detail approaching that of an authentic jersey at a price closer to that of a replica. With stitched name and numbers capturing the colors of your favourite player's on-court wear. Breathable comfortable and easy to care for. Officially licensed by the NBA.